Medium - £36.99 Only 1 left! X-Large - £36.99 Only 3 left! 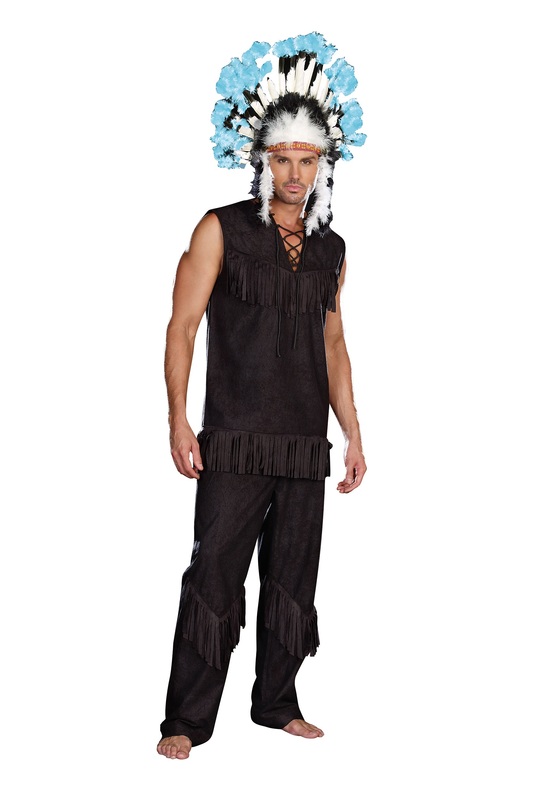 Here we have our mens Native American-inspired costume. It consists of a pullover tunic and faux suede pants. It comes in dark chocolate brown and also comes in plus sizes. But the best part? 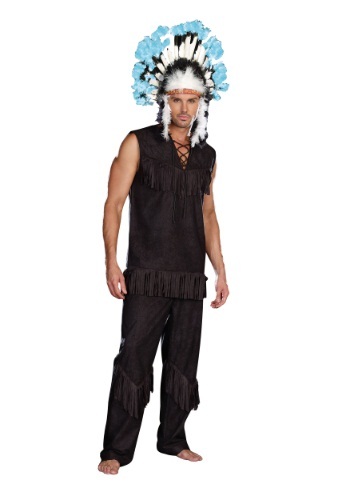 There is a copious amount of fringe on both the chest and legs. Who doesn't like fringe? The more movement the better! This costume allows for a lot of motion since it's sleeveless. 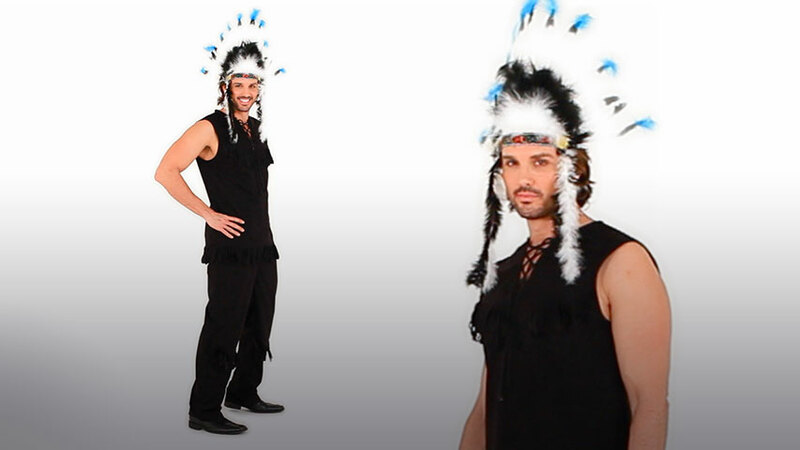 The outfit, of course, is not responsible for any pulled muscles you might incur while dancing. It simply aims to inspire, not harm!